Morning Glory Designs: Look What Came in the Mail!!! Look What Came in the Mail!!! My friend Deb at Quilter's Crossing in Tomball, TX sent me a box of fabric today for my Vintage Sampler Quilt. Her shop carries a HUGE selection of Moda Bella Solids. So I sent her my list and look at what she sent me back. Now I can get started on my set of blocks and will be posting tutorials of the steps I use to do fusible machine applique. Wow, can't wait to get started! WOW, You have great connections. Love the colors in this sampler. Thanks for the link to the quilt shop. I'm determined to get started on this sampler . . . and even if I don't get it finished in time I sure am enjoying ALL the eye candy!!! Love your work. You have many friends and admirers girl!! Beautiful work. Thank you for sharing it. you are most welcome Reeze can't wait to see you in March! 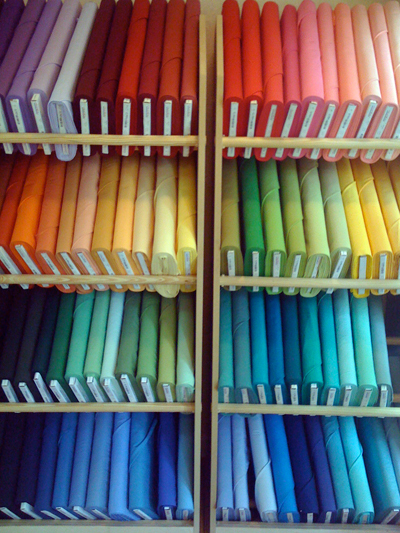 Since I get to shop at Quilters Crossing, I know just how exciting their fabric selections are! You are so luckly!